Nostalgia is in. Each week there seems to be another remake from the 80s and 90s. Top Gun, Ghostbusters, Star Trek, and Karate Kid are only a few of the ever-growing genre ‘90s Nostalgia’ that is beginning to dominate the screen. As a friend poignantly said when he saw Roseanne come back, “we have officially run out of new ideas.” Indiana Jones was always one of my favorite series. When I was a portly, spry 10 year-old, I broke my arm trying to do the “Indiana Jones” dive under my closing garage door. When I was a more portly, yet ninja-like 18 year-old, I almost fell off a mountain trying to do my “Indiana Jones” dive on a snow embankment with an ice axe. I have always had a sense of an “Indiana Jones” desire for adventure and God in his kind providence continues to show me that the power in the adventure of the Christian life belongs unequivocally to him. My first job out of college was teaching at Dunbar Senior High School in the inner city of Washington DC. Dunbar had a rich history of being the first African American High School in the nation. In the 1930s it had the highest number of PhDs teaching in any school in the nation. As one of a handful of white teachers, God used the adventure of being a minority in another culture to expose my own prejudice and to show the power of the gospel transforming teenagers for the glory of God. I moved on from teaching to leading the Fellowship of Christian Athletes in D.C. I had the privilege of developing bible studies in inner city schools and elite universities. God used the adventure of serving in a para-church ministry to expose my lack of understanding of the local church and the beauty of the gospel made visible in a congregation. I moved from the inner city of Washington, D.C., to a small Carolina town of 600 people where I became the residential director of a home for teenage mothers in the foster care system. I was on call 24-hours a day and was the only man working amongst an all-female staff. It was the perfect storm of young ladies with a dash of teenage angst, mixed with the trauma of foster care and pregnancy. God used the adventure of being immersed in a community of orphans, to expose my lack of understanding of suffering and the importance of family. In all the above jobs, God showed me his power in weakness. 2 Corinthians 12:9, “But he said to me, ‘My grace is sufficient for you, for my power is made perfect in weakness.’ Therefore I will boast all the more gladly of my weaknesses, so that the power of Christ may rest upon me.” I am grateful that God showed me power in weakness as I labored for the gospel among the disenfranchised in the city and the country, because it was the only way I would be able to have survived in church revitalization. As I was finishing seminary, my wife and I were praying on where the next adventure of our Christian lives would take place next. We prayed about going to Utah or Seattle or to Chicago. We wanted to go to a hard place where there was a desperate need for the gospel. As we continued to pray, my pastor told me, “Dave, God cares about where you pastor, but he cares more about how you pastor.” The more we prayed, the more we felt God leading us to come back close to my wife’s home town of Rock Hill, SC. We prayed that God would place us in an older, dying Baptist Church near down town Rock Hill SC. We were ready for the next adventure of church revitalization. God graciously answered our prayer by calling us to Park Baptist Church, an older, dying Baptist Church one block outside of downtown Rock Hill, SC. We arrived at the church with two children under the age of 10 with an average age membership of about 70 years old. The most active members of the church were in their 80s. I had two big prayers when I arrived at the church. First, I wanted God to do something in the church that could not be explained by human means. I longed for the day after ten years of serving to look back and say, “Do you see what God did?” Church Revitalization is hard, glorious work. Second, I wanted God to give hope to the senior saints that the best years of the church were not behind them in the hey-day of the 1940s, but ahead of them in the future. It is humbling to even write this, but God has answer those two prayers in the last 6 years. God has shown his power in my weakness. Max Phillips, a boisterous, kind 95 year old, who has been a member of the church since 1937, recently told me in his straight-forward no nonsense style, “Pastor, our church is more alive today it has ever been.” Max has held every position in the church over the last 81 years except for the WMU Director and he knows the church like few others. It didn’t hit me until a few weeks later that Max’s words were an answer to prayer. God has given Max and others like him who faithfully labored for years eyes to see God’s Spirit of love and truth transform a people. It is humbling to watch God work! Our church is a traditional Southern Baptist Church with a mid-week prayer meeting, Sunday School, and a Sunday morning and evening service. Several months ago, I was teaching as normal on a Sunday night. There was nothing particularly unique about the message, but I started to share my prayer when I arrived 5 ½ years before about God doing something that we couldn’t explain with human means. I looked out at the church full of committed college students, faithful senior saints, a growing diverse ethnic community, a score of children, and godly elder-qualified men, and I began to weep. My eyes are filled with tears even as I write these words thinking on what God has done in and through the people of Park Baptist Church. It is humbling to watch God work! Friends, I could share of the many challenges of church revitalization. And believe me, there have been many, but God loves his church. I have not done anything dramatic to transform Park Baptist Church. I have preached the Word of God. I have prayed for the power of God. I have loved the people of God. And I have watched the Spirit of God do the work. God has done more in my heart confirming his power, his kindness, his love and his own glory than I can effectively communicate. Church Revitalization is an “Indiana Jones” type adventure. There has been heartache and grief, joy and sorrow, victory and defeat. It has been anything but boring. Pastoring is always a privilege, but watching God bring life from death in an individual and a congregation is by far one of the sweetest privileges of my life. Friend, God cares about where you pastor, but he cares more about how pastor. Find a people like the people of Park. They are sweet, godly, faithful, folks who a need shepherd. God has allowed me to join the adventure of shepherding these amazing folks. I could write much on what the Lord has taught through this adventure, but the simple truth is God loves to show his power in weakness. 2 Corinthians 1:9, “Indeed, we felt that we had received the sentence of death. But that was to make us rely not on ourselves but on God who raises the dead.” To follow Jesus is to accept the adventure of learning not to rely on ourselves but on God who raises the dead. Beloved, we have been born again into a living hope through the resurrection of Jesus Christ from the dead. Let us offer that living hope to the lost as well as to dying congregations that may have been forgotten. God is in the resurrection business. I have seen God graciously make a dead church alive again. He gets all the glory. God delights to answer prayers. He delights to bring life from death. Church Revitalization is hard yet glorious work, but the power of the work belongs to God who raised the dead. I pray you would consider the great adventure of church revitalization. You may break a few bones. You may lose a few hours of sleep. You may even despair of life itself in the end, however, you will get to see the power of God move in your heart and the heart of your people. And friend, it is a glorious privilege. Dave Kiehn is the pastor of Park Baptist Church in Rock Hill, SC. 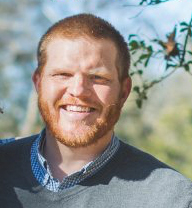 Beyond pastoring, Dave has worked in numerous ministerial settings, written multiple books, and is completing his PhD from Southeastern Baptist Theological Seminary in North American Missiology. He is also beginning a revitalization residency with the SC Baptist State Convention in the near future. Dave has 3 adorable kids whom he is raising with his wonderful wife.